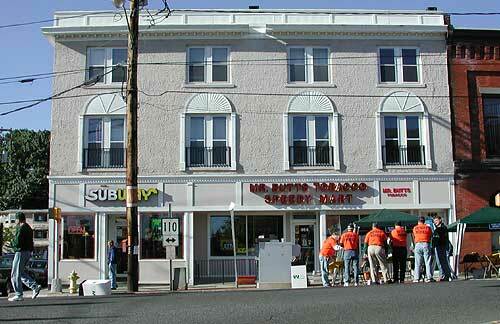 Here are some photos of the historical buildings in downtown Shelton. Most of the buildings have been restored. The top of the front wall for most buildings were architecturally significant. 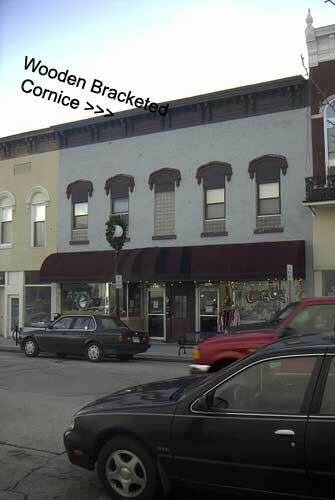 Cornices were usually wood; parapets were often composed of brick, stone, or wood frames covered with tin; and caps were usually plain brick and stone. All of these wall tops were decorated. 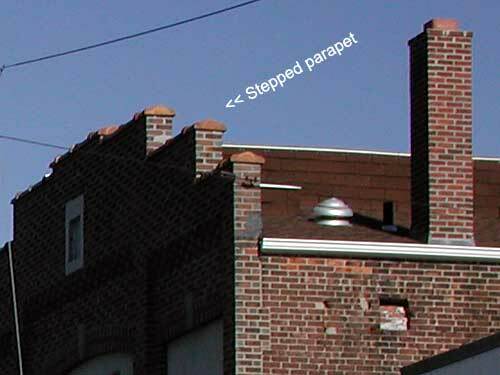 See what a parapet is. 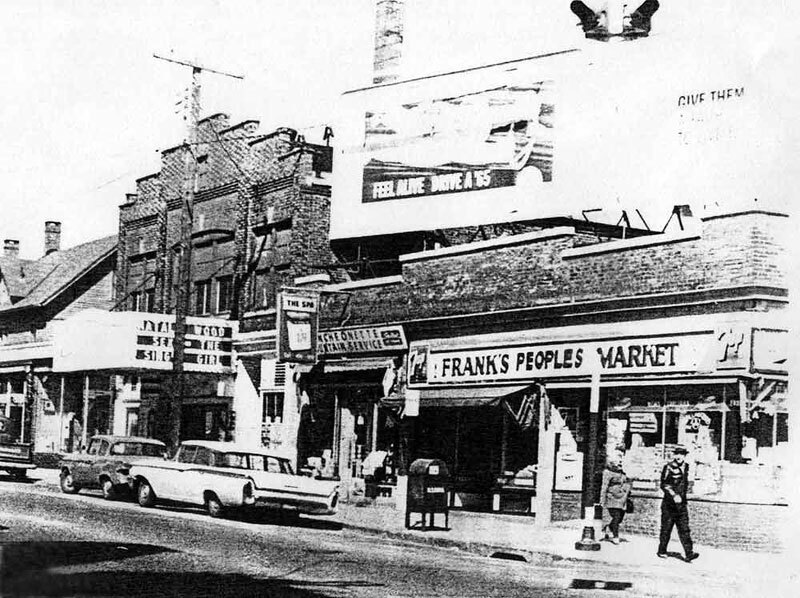 The building in this first photo is the home of Shelton's first movie theater. 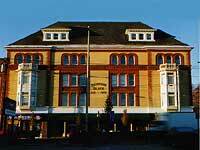 The parapet which extends above the face of the building from the roof on the old movie theater is called a stepped parapet. Here's a larger picture of the indoor movie theater, taken in the 1960's. There was also a bowling alley in the basement. 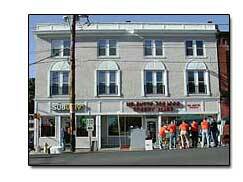 This little corner building housed the first restaurant cafe' called the Victory Restaurant in the late 1800's. Upstairs there are small apartments that used to be community flats. It was empty upstairs until 1999. It has been remodeled and brought up to standard which included adding fire escapes in the back and now they are apartments. A really great view for the Memorial Day Parades. 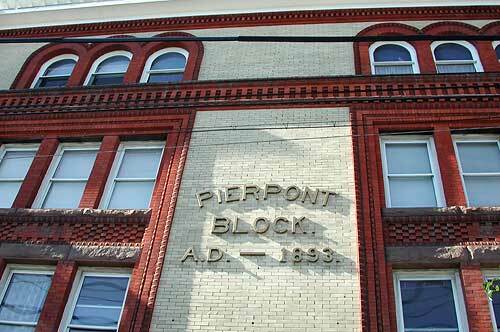 This is another picture of a huge old building called the Pierpont Block, named in honor of J. Pierpont Morgan, who was one of the original investors. 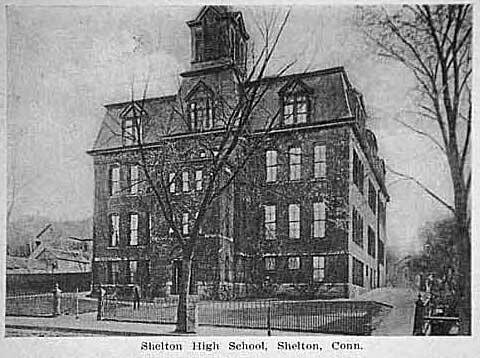 The second floor was the first Shelton Library. It was also the first building to be renovated in 1984. 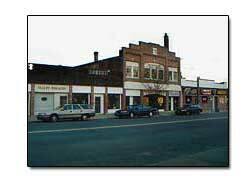 The restoration of these old downtown buildings caused Shelton Day to be created. 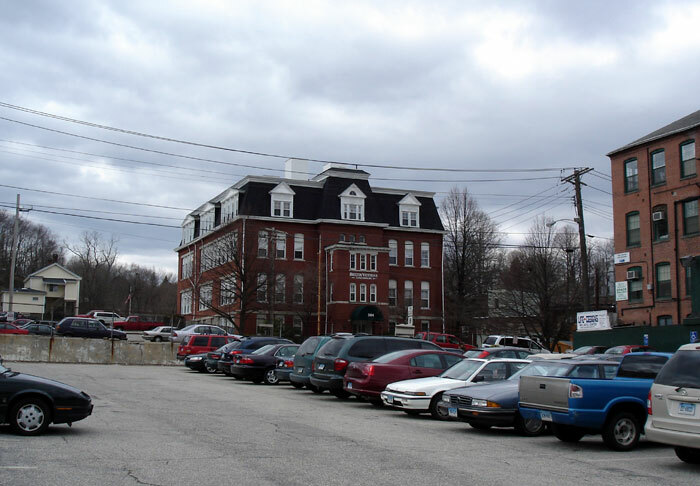 The large white building in this picture at the end, was built in the late 1800's by the Shelton Looms Company for their workers. The factory for the Shelton Looms was down where the new riverfront is. The Shelton Looms was a huge factory taking up several blocks. During the Industrial Revolution, even children were employed, and working 14 to 16 hours a day. 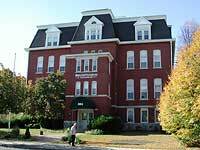 This building below is the Ferry school that was built in 1885, and their first graduation was in 1889. 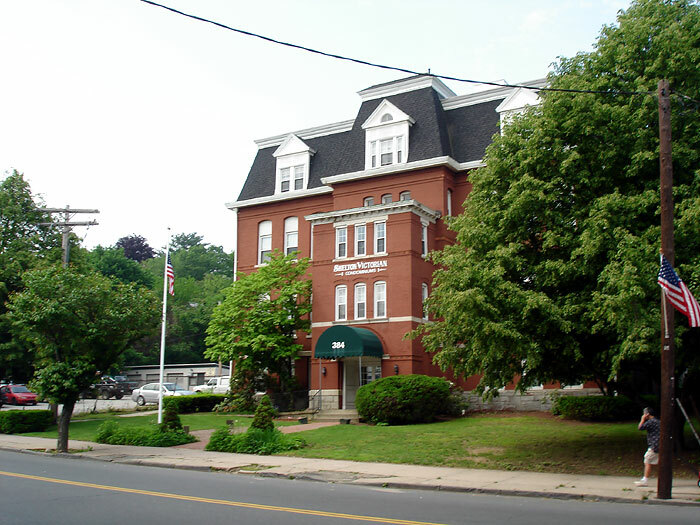 It is now the Shelton Victorian Condominiums. This building is located just a couple of blocks south of the main downtown area.This is a picture taken in 1907 called the Ferry School. Across the street is a large public parking area for downtown shoppers. There is a great view of the riverfront from here, and a very popular local donut shop right next door.